There are two types of technology for generating electricity from solar power – photovoltaic and solar-thermal. These two concepts exploit the sun as an energy source, but differ in terms of their manageability and their adaptation to demand. Solar-thermal technology concentrates the sun’s power to obtain thermal energy. This thermal energy is used to generate steam, which in turn operates a conventional turbine that produces electricity. 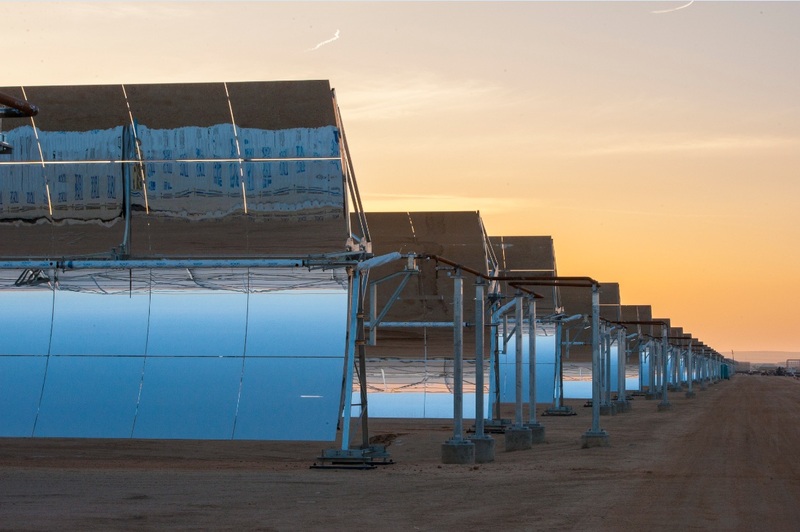 Solar-thermal power generates electricity in a manageable way, in other words, on demand. There are two main types of commercial solar-thermal technology – tower and parabolic trough technology. At present, these account for almost 4 GW of installed power, of which 3,370 MW comes from parabolic trough plants and 538 MW comes from solar-thermal tower plants. ” Solar-thermal power can be managed to adapt energy production to demand at any given time. The market for solar-thermal technology is determined by direct solar radiation (known as Direct Normal Irradiance or DNI), which is the radiation that reaches the earth’s surface directly from the sun without interference from particles, clouds or other elements. The United States and Spain are the countries with the largest installed capacity of solar thermal technology. However, important growth is being recorded in countries like South Africa and Morocco and it is also set to become part of the energy mix in Chile, India, China and other countries in Latin America, the Middle East and North Africa. Photovoltaic technology uses solar radiation to generate electricity by exploiting the chemical properties of certain materials. This technology generates electricity directly via the photoelectric effect, in other words, as a result of the effect of solar radiation on semiconductor materials. The impact of solar energy on the atomic structure of semiconductor materials generates a continuous electrical current. Photovoltaic modules use this process to generate power when this material comes into contact with light. ” The development of photovoltaic power is dependent on the development of storage systems to overcome the issue of intermittent production. 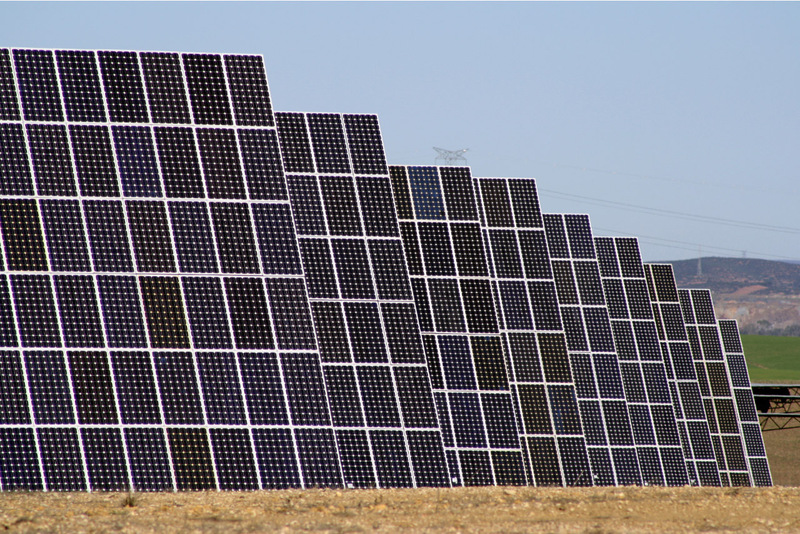 Photovoltaic technology is used worldwide, mainly in China, Germany and the United States. The total global installed power is currently 145 GW, much of which is devoted to self-sufficiency. The evolution of this technology is dependent on the ability to overcome its major challenges – development of the module manufacturing market and, above all, storage system innovation in order to overcome the intermittent nature of photovoltaic energy production. Manageable, which means production can be adapted to energy demand. Low-cost. Can be hybridized with fossil fuels like natural gas. In conventional plants, this can reduce pollution from atmospheric gas emissions. This can also prolong its useful life. Wide geographical area of application. Promotes socio-economic development by creating employment and industrial infrastructure, which encourage technological development, innovation and entrepreneurship. Low maintenance costs: photovoltaic technology does not need major economic investment and human resources for its maintenance. Thank you for letting us know different types of solar energy uses. Sir can we use photovoltic type in domestic use. yes you can, that is what we are putting on our roofs and in backyards currently! In desertic areas, the solar-thermal energy is very attractive due to the great amount of sun light. However, how to solve the lack of water, used to produce steam, in these areas? 1. I believe that as the steam generated within this system passes through the turbine (giving up its thermal energy to create mechanical energy to spin the turbine) its temperature drops and it returns to the liquid state. I hope the author is watching and could confirm this. 2. "Production can be adapted to energy demand". How does this apply only to solar thermal and not to photovoltaic as well? Operation of the steam turbine is based on the Rankine cycle, a thermodynamic cycle where an operating fluid is continuously evaporated and condensed. High pressure fluid enters the boiler from the feed pump and is heated to its saturation temperature. Further addition of energy causes evaporation of the liquid until it is fully converted to steam. Steam comes into the turbine at a specific temperature and pressure, normally recommended by the manufacturer. This steam spins a rotor axis, producing work which may be converted to electricity, while its temperature and pressure decreases. When it comes out of the turbine, the vapor-liquid mixture leaving the turbine is condensed using a cooling system. There, it recovers its original features and starts the process from the very beginning. The working fluid in a Rankine cycle follows a closed loop and is reused constantly. 2. PV generates electricity directly from solar radiation on PV cells, which means PV is an intermittent source of power: it only generates electricity when it is sunny (when the energy source is available). Power generation cannot be controlled. However, operators of solar thermal plants can control the generation of electricity by regulating the temperature at the receivers, both in tower and parabolic trough, as well as the input of steam into the turbine. Additionally, these power plants can incorporate thermal energy storage systems that allow thermal energy to be stored. These systems allow energy to be dispatched during cloudy periods, after sunset, before the sun rises or even in the middle of the night. As a result, these plants can produce electricity when needed. This allows the plants to better meet the demand of grid operators and utilities, resulting in a more stable supply and significant advances in the integration of renewable energy into the grid. So STE does not have the same drawback as PV, in terms of energy production profile. Dispatchability allows STE plants to better meet the demand of grid operators and utilities, resulting in a more stable supply and enabling a high penetration of renewable energies in the system. No mention has been made here regarding the cost/benefit ratio or break-even points of these two technologies. Most so-called "green" energy sources are do expensive and resource intensive up front that they will not reach start to pay for themselves (break even) for decades. Many will be either worn out or obsolete long before then anyway. Safe nuclear, ideally the still elusive cold fusion) is still the most likely replacement for fossil fuels at this stage of technology. That is where the smart money should be invested. Could you expand on; Solar-thermal power generates electricity in a manageable way, in other words, on demand. Doesn't solar-thermal have the same drawback as photovoltaic, when producing power? Solar Thermal Electricity (STE) and Photovoltaics (PV) are different technologies. PV generates electricity directly from solar radiation on PV cells, which means PV is an intermittent source of power: it only generates electricity when it is sunny (when the energy source is available). Solar thermal technology uses the heat of the sun to generate steam and then uses the steam in a conventional turbine to produce electricity. These power plants can incorporate thermal energy storage systems that allow thermal energy to be stored. These systems allow energy to be dispatched during cloudy periods, after sunset, before the sun rises or even in the middle of the night. Because storage allows solar plants to produce electricity when the sun is not shining, the plants can provide electricity when needed, operating as a peaker or even as baseload. Solar thermal electricity is therefore dispatchable; which means production can be totally adapted to the demand for electricity. It differs from intermittent renewables in the fact that their production depends on the presence or absence of the energy source. So STE does not have the same drawback as PV, in terms of energy production profile. Dispatchability allows STE plants to better meet the demand of grid operators and utilities, resulting in a more stable supply and enabling a high penetration of renewable energies in the system. This being the main difference between PV and STE, there are also others: - in terms of radiation: PV uses the GHI (Global Horizontal Irradiation) to produce power, while STE uses DNI (Direct Normal Irradiation). This is the reason why STE is only commercially viable in the solar belt of the Earth, while PV can be used in less sunny regions, such as Germany or Japan. - in terms of display: PV is a modular technology from some few kW up to GW if needed. This makes it suitable for utility-scale generation, but also for distributed power. STE, however, though modular (it can range from a dozens of MW up to GW, if needed), is only commercially feasible at a utility scale. Some particular applications, such as industrial systems, which are STE systems at lower temperatures, producing industrial heat and/or steam, are applicable for distributed uses. - in terms of cost: STE is a different product than PV and, as well, it has a different cost. NREL estimates the value provided by dispatchability in ~6c$/kWh.